Home/Member News, Leadership/CASP Member Spotlight – Amego, Inc.
CASP Member Spotlight - Amego, Inc.
CASP Member Spotlight: Amego, Inc. I am pleased to share our member spotlight of Amego, Inc. with you. Make sure to read their interesting fact. They still serve the very first student that enrolled in their program in 1971! Thank you to Amego’s Chief Operating Officer, Penny Potter, for such thoughtful responses. I hope you are enjoying the opportunity to learn more about fellow CASP members! What’s something your agency has done or accomplished recently that you are proud of? Within our BEST Clinical Network Division we recently obtained a space that is dedicated to the expansion of this division. This includes a day treatment program for children and adolescents. The BEST Clinical Network implements evidence-based treatments and practices focusing on teaching communication, increasing socially appropriate behaviors, self-help skills, social skills, leisure skills and other essential like skills. It is a very individualized and unique program with a very dedicated group of professionals whose sole purpose is to provide support and serve as a resource to the community in the diagnosis and treatment of children and adults affected by Autism Spectrum Disorder or other related Developmental Disabilities. What’s an interesting fact about your organization that people may not know? 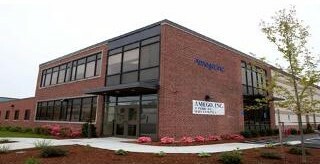 The very first student to ever attend the Amego Day School in our original building located in Quincy, Massachusetts is still supported by our agency and is currently 57 years old. He has lived with his current housemates since 1984 and he will be 62 years old when Amego celebrates its 50th Anniversary in 2021. He is the epitome of the original goal of “Education for Life” that can be found in the original By-Laws signed in May of 1971. Amego originally opened as a day only school, operating from 9:00am to 5:00pm six days a week. Back in 1971 when the original By-Laws were developed, the description of our population was the following: “The severely impaired young people to whom this program is directed have from early childhood carried a variety of labels such as “early infantile autism, childhood schizophrenia, a-typical child, severe functional retardation, severe learning disability, or developmentally disabled”.These labels morphed into our current target population of individuals with ASD and/or Developmental Disabilities. Do you have any advice for new organizations or leaders? Include families as real members of the team and don’t ever think you know more than they do. Identify the population(s) you wish to support and remain transparent with your service delivery. When starting, it is not possible to be everything to everybody. Be willing to refer cases to other providers who may be a better fit. Complete the following sentence. We joined CASP… to network with professionals across the United States and Abroad with the purpose of sharing ideas and best practices for the ultimate outcome of improving our service delivery. Gaining insight from leaders in the field has afforded us opportunities to explore improvements for our systems. Is there anything else you would like to tell us about your organization? We are extremely proud and excited to offer our direct support staff the opportunity to participate in our RBT (Registered Behavior Technician) Program. Amego clinicians and administrators have worked to create an infrastructure of BCBAs and BCaBAs that can support the hundreds of direct support staff we hope will successfully complete the RBT program. This is such a wonderful opportunity for our staff, especially since we are offering the program free of charge and the only stipulation is that they must complete the process on their own time. The successful completion of this program supports Amego, our staff and especially our individuals. Our staff will benefit professionally and financially since they can bring this certification with them wherever they go and they receive a substantial increase in their hourly wage for becoming RBTs. Our agency benefits from a more educated workforce and our individuals especially benefit from this educated workforce since they are the front line folks supporting our individuals and implementing Behavior Support Plans.